And if you wanna find out how else I lighten up my drinks, you’ve gotta check out the rest of my tips. They work even if you’re out at the bar. Bring water to a boil in a small saucepan. Add stevia and let simmer until stevia has completely dissolved. Once stevia has dissolved, remove from heat and let cool to room temperature. 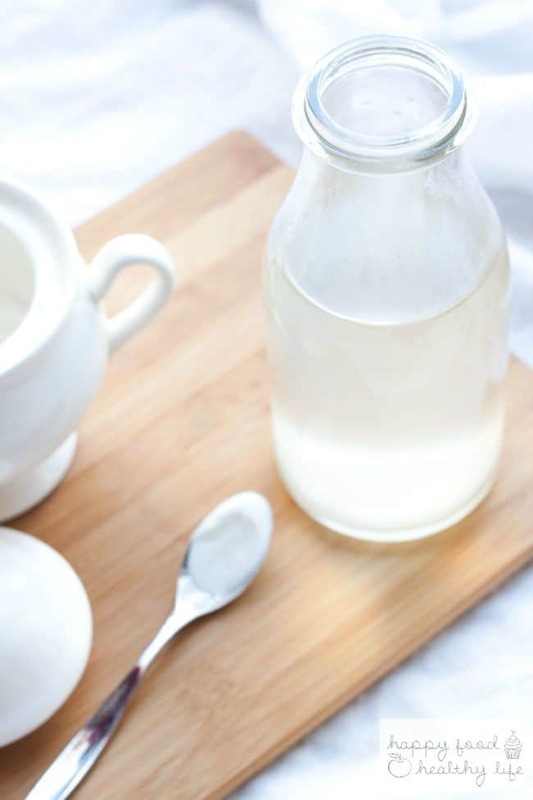 Once cool, place in a jar and store in the refrigerator to use in drinks and other recipes that call for simple syrup. Incredibly easy right?! You have no excuses to make it yourself now. I grow my own Stevia. How do you make the simple syrup with the leaves? Can you also steep things like ginger, lemon, lavender, etc to make a flavored simple syrup?